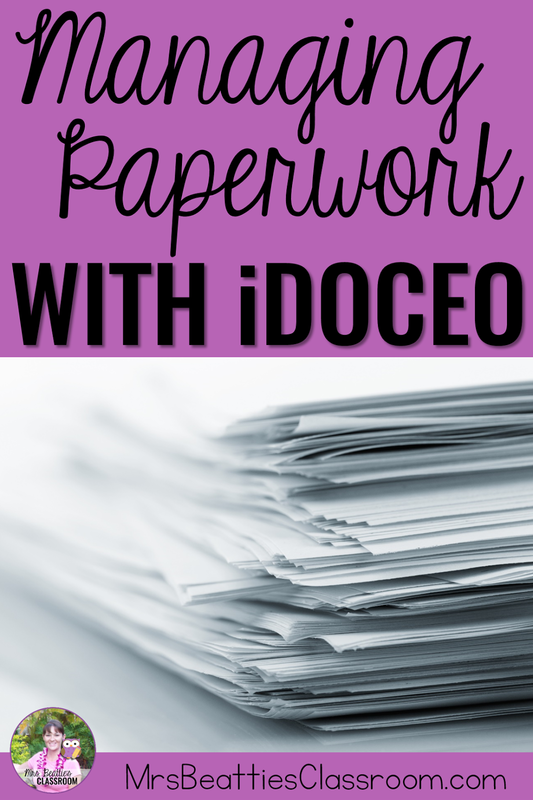 You just may change your tune if you own the iDoceo app! :) I spent part of my Saturday marking my students' Words Their Way assessments. In my school we refer to this data fairly frequently throughout the year, so I keep these handy at the front of my filing cabinet. (You may have read my posts about our Words Their Way groupings last year.) As I was finishing them up I had a little revelation... I could use my iDoceo app to save these results in the "Resources" section! I did have to play around with this a little to set it up exactly how I wanted it, so thought I'd share so others can manage it more easily. With this changed, the images no longer appear in my iPad camera roll. Now for adding the documents. I wanted the feature guides available so I could quickly see where the strengths and needs are for each child. 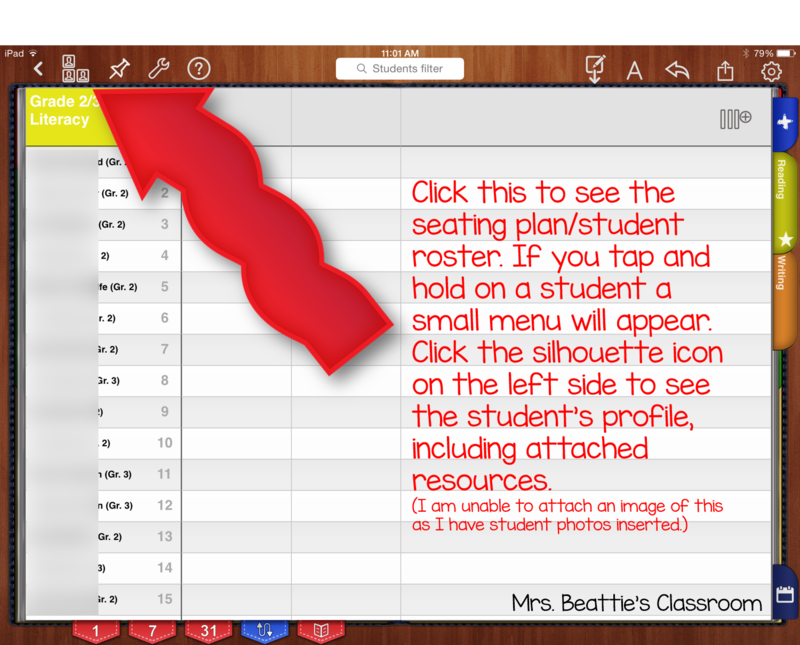 To add this page to each student's profile I simply had to tap and hold the student's name, then tap "Edit". The box that opens up will show the files already stored for this student in this subject area. To add a new file, click the paper clip icon in the top-left corner. Then select "Take picture", aim and shoot! I'm thrilled to know that I can store images of student work samples in my iDoceo app and no longer have to maintain large paper files throughout the year. 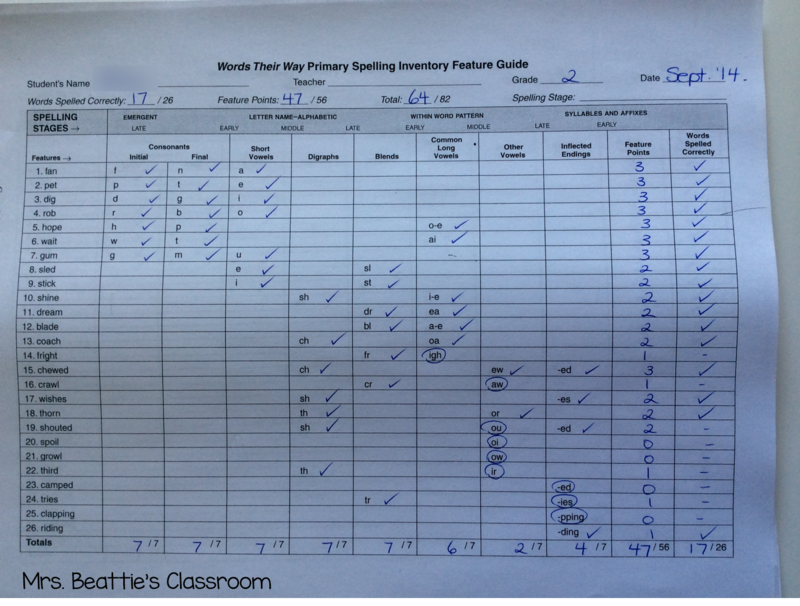 This obviously doesn't take the place of portfolios in the classroom, but can make the data more accessible to the teacher, when and where it is needed! Leave me a comment below if you've found this useful! I'd love to know about any iDoceo tips and tricks you've discovered! Check out more great apps for the classroom on this Pinterest board! Oh my! Thanks for this! Loving all the things you are figuring out with this app! Oh my goodness....this app is amazing! I am swimming up to my ears with data....and this would be perfect for me, and my fellow teachers. 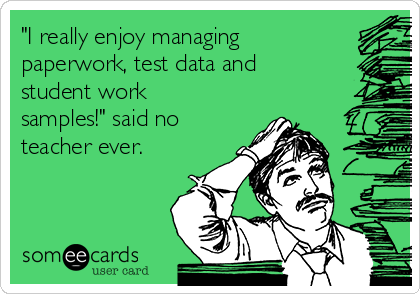 Our PLC's are usually focused around data, and we all have Ipads...so instead of lugging around a folder full of random data displays....just take a snapshot of it! Thanks so much for sharin! !